Established in 1963, James King Interiors has an enviable reputation for creating imaginative and affordable decorating solutions for home, apartment and retirement living across Sydney’s North Shore and surrounding areas. Our decorators have extensive experience and product knowledge and are able to advise on all aspects of interior decoration, be it classic or contemporary in style. Our showroom in Rohini Street, Turramurra, has a comprehensive library of the latest curtain and upholstery fabric ranges from leading local and international suppliers, together with extensive blind and shutter samples on display from the likes of Verosol, Helioscreen, Blinds by Peter Meyer and Silent Gliss. We also have on display samples of custom made lounges, chairs, furniture, cushions and accessories. James King Interiors is owned in partnership by Anthony Herring and Joanne Cannon. Joanne is a graduate from RMIT with a Bachelor of Arts in Interior Design. 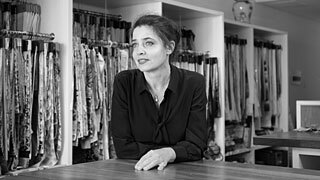 She has extensive experience in interior decorating and has been with James King Interiors since 1998. 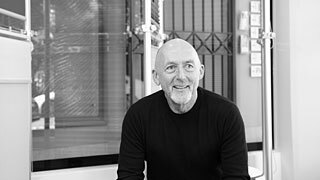 Anthony has a B.Build from UNSW and has over 40 years partnership management and administration experience in small-medium business enterprises. Alistair Newton is an experienced interior decorator with a Certificate of Interior Décor with merit from Christchurch Polytechnic College. 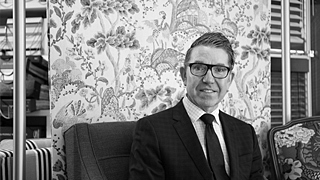 He has been with James King Interiors since 2003.